Moore is obsessed with Bialy. Moore writes 2 separate inane, tedious, vapid, pointless reviews of Bialy's book at Amazon. Moore gets his scientific friends to write a review. But Moore studiously avoids a debate on the merits. Mysteriously, a new , feeble critique of the book by a "Manny Kimmel" emerges just a day ago --- even though Moore claimed he no longer bothers with Amazon. Hapless John gets publically cold-cocked at Amazon by Dr. Lynn Margulis -- an esteemed member of the National Academy of Science, a far superior scientist, and a much classier individual. I don't think most normal scientists operate like this, John. To which I promptly ended the conservation as follows: No, the normal rules don't apply when dealing with AIDS. So, there you have it. The final exchange between myself and Professor J.P. Moore of Cornell University, AIDS guru, right-hand flunky to David Ho, former errand-boy for John Maddox, of Nature. We've spent at least $100 BILLION dollars on AIDS research over the past 25 years and produced a crop of the most incompetent, scientific poseurs the world has ever seen. 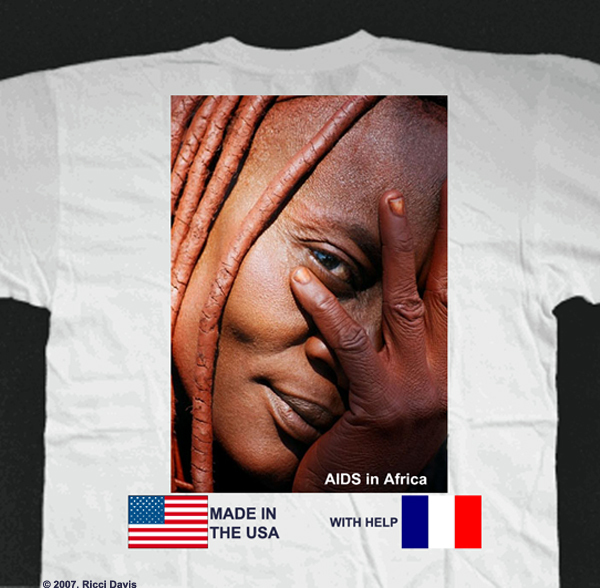 There are far more American scientists researching AIDS, then American patients dying from AIDS. To these jokesters, it is an endless cash cow, to be milked forever. Never mind that a few hundred thousand patients -- mostly gay males -- were probably killed with excess doses of toxic AZT, a cancer chemo drug, which alters your DNA. This matters not a whit to these bean-counting, Egg-heads. Minor unresolved problem, though: Who won this skirmish of wit with the British twit? Did Moore recover from his Julianna Margulies gaffe? Did he effectively parry my thrusts? In short, Who was the windshield, and who was the bug? Hmmm, I thought. I will proffer a final e-mail to him, suggesting that I publish our exchange. I envisioned 2 possible reactions from him: (a) Sure, go ahead, what do I care? or (b) No, you may not! This was sort of a junior varsity variant of the "Moore assertion." By Moore's reaction to the potential publication, we will learn whether he thinks he did well. If he casually allows me to publish our exchange, he is probably confident. If not, then not. You don't mind if I publish this exchange somewhere, do you? 2:13: Yes, I object to you publishing what I believed was a private exchange. 2:14: To avoid any ambiguity. Yes, I do mind. And no, you do not have my permission to publish what was portrayed as a private correspondence between two individuals. Wellllllllllllll, isn't that special! Ole' John is a four-flusher! Bluffing his way thru all this jive and bravado, with nothing but a low pair of deuces. Poseur par excellence! 2:19: Actually, I've changed my mind having thought it over for a few minutes. I can see some clear benefits to our side from its publication, so do whatever you want, provided you publish it in its entirety (i.e., without manipulating anything I wrote). Nice recovery, John, but, really, our side?!!? Don't both "sides" want to cure AIDS? Your "side," the "side" of Phd grown men, who chicken out of debates, fool around on Amazon.com websites, refuse to answer scientific questions, and have failed to produce a vaccine in 20 years, but have wasted a $100 or so billion in the process? But, there you have it, my gentle readers. The AIDS junior-varsity mafia, unexpurgated, in all its glory, spouting the party line for all to see, without a single, solitary misrepresentation or manipulation of any word exchanged. You can run, Moore, but you can't hide! it's looking pretty clear that you'll get no debate from Dr. Moore. Amazon reviews aside, he's actually beginning to look like a real lightweight in all of this. My opinion from what I've been reading is that he doesn't have what it takes to get into a debate with Bialy. I'm almost inclined to ask you to "pick on somebody your own size". He just doesn't seem to be worth the effort. Don't be fooled, Moore is a bigwig in AIDS research, funding, peer -review and journalism. He gets quoted all the time in the mainstream press. He carries weight in the AIDS kingdom. True, he has demonstrated himself a putz in the real world, but in the bizarro world of AIDS, he's up there. Think of a bureaucrat at the DMV, who gets to determine, on his own, whether you get a license! "he's actually beginning to look like a real lightweight in all of this"
I'm talking about the sort of thing we're doing right now, discussing the topic on the internet. The Amazon contribution I read by him was weak, his replies to you are weak. He looks like a lightweight in "this" arena. He is weak. The Emperor has no clothes, not even a scarf! maybe you'd like to add a "feature"?...AIDS charlatan of the week! There would be NO shortage of those who could be bestowed with this honor. You have outdone yourself, and every single other blogger who has stuck his neck out in this arena to play with the pussycats who pretend to be tigers. The four episodes are worth "sucking turn and turn again", and unlike the stones of Beckett's ideation of the scientist (according to Delbruck) these sucking stones have distinctive and delightful sabors. Bravo young man with stamina to envy. I hope this show gets replayed all over, and all over again. It's better than "You Bet Your Life" even -- the double entendre, while quite intentional is not funny in the least. This is my first post, and I’m amazed at how you can keep laughing at all this. Maybe I’m too new into the fray, but I sometimes get overwhelmed with the illogic, the insanity, the frustration of it all. Reading Barnesville helps me keep some perspective, and for that I thank you. I’m in the process of writing my next book, “A Death Sentence?”, about the arbitrary and capricious HIV blood tests, all based on circular logic, and I can’t believe the lengths that people like John Moore will go to justify a faulty premise. It’s like saying that the moon is made of green cheese; but upon finding no green cheese anywhere on the moon, explaining that all the green cheese must have morphed into something else when the cow jumped over it. I’m in a very similar email conversation with a Brian Foley at the HIV Genetic Sequence and Immunology Databases. I can’t get Brian to answer a straightforward question directly, and I truly amazed at what he (and others) can pull out of…..thin air when their arguments are clearly contradicted by scientific fact. I have decided that perhaps it is not malicious on their part, or even a symptom of unwillingness to give up the sacred cow, but evidence that our educational system, run by the same government that gave us HIV, has failed to teach anyone how to think logically any more. So I’m sure you’re aware, Hank, that we’re not going to “win,” since any documented science we might put forward will simply be met with more indefensible fantasy. But at least maybe I can learn from you how to have fun trying! Keep up the great work! Hey, you're helping me elevate my game, George. Welcome! Gotta bring some levity to this awful farce, all the while, not forgetting who made it awful, and what should be done about it. "Beckett, not bean counting" is more alliterative and rhythmic. For the benefit of those who may not have any idea what we are referring to, let me recapitulate a bit from what now seems ages ago when I made my first comment at Barnes-ville, in a post I can no longer remember or even locate -- Groucho's George Fenneman not having yet installed a search feature. In 1975, Max Delbruck did an interview with Norm Davis as part of the CalTech "Science and Society" lecture series. In it Delbruck spent most of his time presenting the "sucking stone episode" from Molloy (easily found on the web) as a perfect description of the mind, activity and posture of the *real* scientist. 1. Why do you continually claim that you "won't debate with" what you maliciously describe as "denialists", and yet you have seemingly had dozens of email exchanges with Darren Brown, Hank Barnes, Harvey Bialy and probably others I'm not aware of - all of whom I'm quite sure you would describe with derision? What is the point of doing this, if not to "debate"? I ask this question because it seems to me that the ONLY thing you will not "debate" about HIV and AIDS is the SCIENCE! 2. You assert that you are no longer going to bother with Dr. Bialy because you are off on to some unnamed bigger fish. Who might those be? I'm sure there is no "secret society of AIDS Denial" and if there was, you certainly wouldn't be one to protect their identity so, PLEASE, tell us who you intend to fry? By the way, Hank - great ploy on asking Moore's permission to post. Brilliant. And funny he wasn't so busy with "having a life" that he couldn't immediately respond! Let me clarify my second question - he won't bother any more with a world renowned doctor and author of an acclaimed book on the subject because he is going on to deal with the more important players. I simply can't imagine who that might be. Can you? er, wait, you're Blackman, not Moore, right? Great follow-up questions to the AIDS guru. Have you ever seen scientists in your life, dodge so much science?!!? A timid bunch. Lotta federal dollars thrown their way, but timid nonetheless. Maybe I should started posting as "Johnny Blackman" as one of my blogosphere friends has been known to call me. Or I could appear to be highly self-impressed and sign off as "The Mensch"! But I think that particular title is better left to you - who has clearly shown what he's worth.